Dog Handling Response Unit Norton and Dog Patrols Service Norton, many people assume ‘Dog Patrol’ is simply putting a couple of dogs into your premises at night, and collecting them the following morning; this is NOT the case. UK Legislation does not allow this. So what do we provide as part of our service? 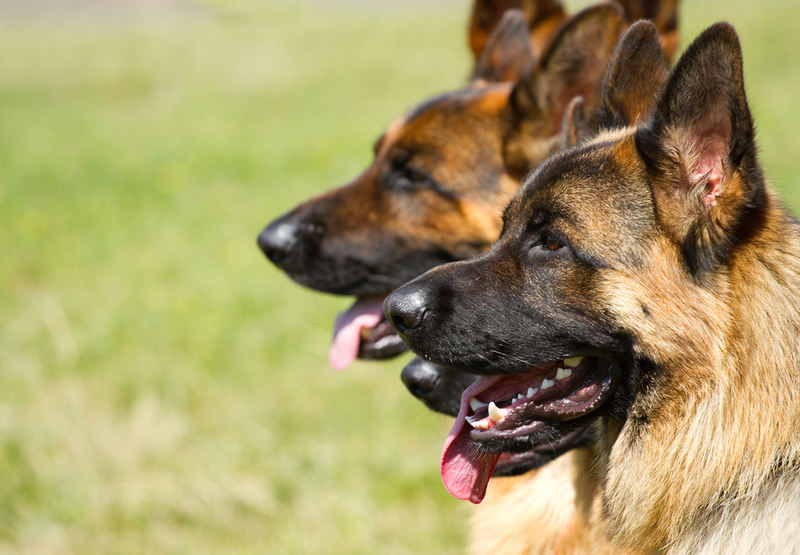 Our guard dog patrols provide you with an SIA licensed and qualified dog handler, together with fully trained guard dogs which make up a professional security team. We tailor your security solution to meet all of your needs which are agreed in advance with you. It is all very well having a top of the range security system, but unless it is contractually police monitored, who is going to run the risk of responding to your alarm activations? Our expertly response-trained security guards, with the back-up of highly trained security dogs, are the ideal response team to ensure the safety of your premises by entering, investigating and arranging the correct response. Farm Watch Service Norton, Farmhouses and their associated buildings are by nature isolated, which is ideal for thieves looking for easy pickings. Our Farm Watch service gives you the assurance that day or night, our high visibility vehicle is on patrol, making potential thieves aware that your property is guarded. Whilst out on patrol our vehicle uses a high definition camera to record all activity it sees, and record it to a computer hard drive inside the vehicle. The recording is both date and time stamped which can be used as court evidence by the police leading to conviction of thieves. At KAY9 Security Solutions, we specialise in the monitoring and protection of isolated, rural properties incorporating high risk, valuable machinery and livestock. •	Our high visibility Farm Watch vehicle alerts potential thieves that we are working in the area and monitoring your livestock and machinery activity; this is a proven active deterrent. •	Thieves will use all types of vehicles for transporting stolen livestock, so it's important to keep an eye open for any different or unfamiliar transport. •	Our vehicle cameras automatically capture registration numbers whilst patrolling. •	All our dog handlers are fully trained and qualified to SIA industry standards. We work alongside the local police in your area, and provide them with evidence of all activities recorded during our patrols. •	We provide (free of charge) security warning signs, as an added visible deterrent. •	We can create bespoke solutions to meet your individual requirements. Mobile Site Monitoring & Visits Norton, at Kay9 Security Solutions Ltd we have our own Welfare Unit Vehicles, so where cabins/facilities are not available, it is no problem to our Guards, we can attend equipped and ready to go. 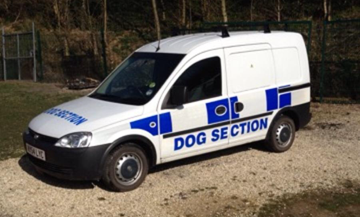 A mobile site visit includes attendance from a fully accredited dog handler to patrol all areas of your site, checking vulnerable areas, perimeter fencing and any buildings/property on site. The security solutions we will recommend are tailored to your requirements as every client and their needs are different. Some request patrols at regularly timed intervals during the day/night, to provide a visible presence. Whilst others prefer an agreed number of ‘random’ patrols, varying in days and times to never have a predicted presence. Costs can vary dependant on the type of service provided, however one handler and dog is a more cost effective deterrent than several security guards. Whichever solution suits your business requirements, we can deliver, so why not give us a call? Meet one of our patrol teams for a FREE site security assessment, and demonstration and see how much you could save. Retail and Commercial Premises Guarding Gate-House Norton and Reception Security Norton, our guards are smart, presentable and polite and as first impressions go, our guards deliver a polished and professional introduction to your business. Gate-House/Reception Security is more than lifting or opening a barrier or gate to let people in and out. We offer you the peace of mind in knowing exactly who is coming in and going out and if they have a justifiable reason for being there. Our guards provide an exceptionally professional service, which includes regular patrols, surroundings awareness, visitor data logging, barrier/gate-house management, start and end of shift patrol and hand-overs, which are all logged and recorded in KAY9 Security Solutions Ltd Security Log-Books. Rural Mobile Patrols Norton, back in 2013, targeted crime cost the rural economy over £44m. These thefts not only included livestock, but tractors and other farm machinery including diesel fuel. An increase in sheep, cattle and Equine equipment theft contributed considerably to the rise. KAY9 Security Solutions can offer dog handling security solutions to protect Livestock, Stables & Barns, Plant & Machinery, Tractors, Remote Buildings and Fuel Tanks by working closely with farmers, police and other local rural watch groups to put a stop to thefts, and alerts for suspicious people and vehicles.